Truck Court – Watt Commercial Sweeping, Inc. It is estimated that the United States has approximately 61,000 square miles of paved roads and parking lots. With such an astounding number of paved areas, it only makes sense that there is going to be a substantial impact made on the environment by these areas. It also makes sense that with such a great amount of our nation’s surface area devoted to paving, that we work diligently to find and implement more sustainable and less negatively impactful techniques and materials to use for paving. One such thing that is being used more and more is permeable paving, sometimes also called permeable pavers. Permeable paving, in short, is the use of specialized techniques or materials that allow for on-site filtration of stormwater through the surface of paved areas. Permeable paving allows for large particulate debris, sediment and heavy metals to be trapped on the surface or in the substrata layers of the paving materials, leaving a the filtered water to flow through the soil and subsequent layers below the pavement and to replenish our groundwater supply. The groundwater supply level is essential to our drinking water supply, as well as to impede further stream erosion and to also help replenish our surface water levels–the level of the streams, creeks, lakes, rivers, and oceans. The benefits of permeable paving over traditional, non-permeable paving are qualitatively greater. In urban areas the use of permeable paving has even shown an increase in tree coverage due to the fact that the substructure of permeable paving allows for tree roots to have enough room to grow to their full size. With the benefits to the environment being so profound with the use of permeable paving, it has become more and more the go-to method for many local governments and business owners to use in new paving projects, as well as in the reconstruction and replacement of existing paved areas. While the benefits of permeable paving are exponentially better than other paving methods for a great deal of projects, the key to maintaining the benefits is to make certain that proper care and maintenance is given to your permeable paving. We at Watt Commercial Sweeping, Inc. have made it a priority to stay up-to-date on new and innovative paving methods and how to properly clean and maintain them. Watt Commercial makes certain that we effectively and properly clean permeable pavement so that its functionality, as well as its aesthetic appearance and overall integrity are maintained. Teamed with our experience and commitment to customer satisfaction and customer service, Watt Commercial uses our constantly growing knowledge to help business owners, municipalities, cites, towns and counties respect our environment with the best and most proper ways to care for your paved parking lots, decks, roads and paths. Please call us today for more information and for an on-site personalized inspection and consultation. With Watt Commercial Sweeping, Inc. you can rest assured that your paved areas are in the most experienced hands in the commercial sweeping industry–no matter what materials you have in place. Autumn leaves are a beautiful and picturesque sight. However, they can pose a dangerous and often unforeseen risk. Not often do we look at beautiful fall foliage and think of dangerous slip and fall accidents, but as a responsible business owner, it becomes essential to consider all potential risks to our patrons and employees. 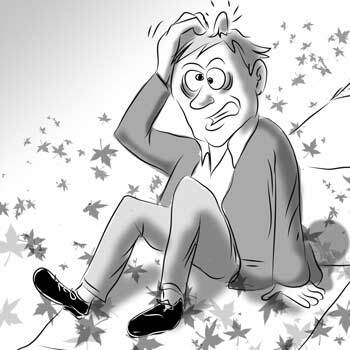 Slippery fall leaves are one of those risks to you, your business, employees and patrons. Autumn leaves, especially those left for long time periods on your property, accumulating in your parking areas, become soaked in the drenching autumn rains. The rain causes the unmoved, unkempt leaves to become extremely wet, heavy and slippery. Wet, slippery leaves on the ground pose as much of a dangerous hazard as ice on the ground does. Leaves that are in your business’s parking lots and parking areas are often carried inside your business by foot traffic in and out of your business, where the fall risk is now not only outside, but inside your business as well. Business owners and property owners are responsible for keeping patrons and employees safe and protected from injury and accidents–including those which can be caused by fallen leaves in an unkept parking lot or those that have been tracked into the entry way, or other areas of your establishment. The CDC has found that one out of every five falls causes a serious injury, including broken bones or even head injuries. Businesses are already susceptible to slip and fall litigation and need to insure they take extra preventative initiatives to not end up entangled in a costly litigation situation. Watt Commercial Sweeping, Inc. is an experience, professional sweeping company that can help your business develop a sweeping maintenance plan to fit your specific needs. When thinking about your budget and your bottom line, a regular sweeping maintenance plan is NOT an item you can afford to cut from the budget. Proper parking area sweeping helps to not only keep your property aesthetically pleasing, which can lead to more patrons, and therefore more business and possibly more money for your business, but a regular sweeping program helps to protect your business from costly litigation costs and possible settlement payouts and increased insurance premiums as well. Call Watt Commercial Sweeping, Inc. today in order for us to come out and give you an on site assessment and estimate. You cannot afford to take any chances with your business. Let us help protect you today! Autumn can be one of the most beautiful times of the year. The leaves on the trees turn beautiful, lustrous hues of bright and fiery tones and the weather begins to turn crisp and fresh. However, this turning of the season is only a temporary one, unfortunately. Shortly after the beautiful turning of the leaves and the fresh crisp of the air, the leaves fall to the ground leaving the trees grim and bare and the crip and fresh air becomes cold and bitter as fall all too quickly becomes winter. As the early beauty of autumn quickly dims to rainy days and grey, dreary and foggy days that become the bleak end of fall and depressing days of winter, it is the most important time of the year to insure that your business and parking structures and parking lots are looking their absolute best! Having a pristine, well-kept and freshly seal coated asphalt service at your business locations will make sure that your patrons notice that you care about the service you provide to them year-round. It will also help you gain new patrons by helping you stand out from the crowd in the sea of grey and dismal by literally popping out and catching the eye of new business prospects. By having your facilities updated during this time of year and by keeping up with, or implementing a regular sweeping maintenance plan now, you will make certain your business doesn’t get lost in the piles of leaves and murk of the depressing cast of grey that falls over the cities during this time of year. 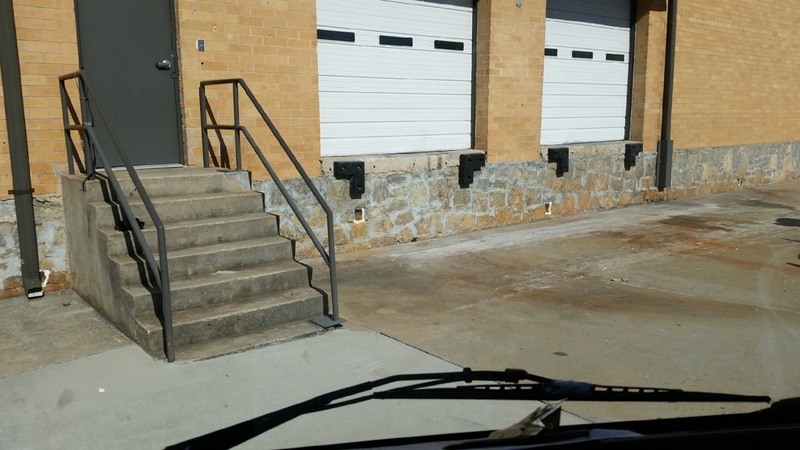 Watt Commercial Sweeping, Inc. and our sister company, Atlanta Sealcoating, Inc. can help you put into action a plan right now either a professional sweeping maintenance program, or a professional sealcoating and restriping project for your parking area–or both! Both of our companies are here to serve you and your needs 365 days a year 24/7. 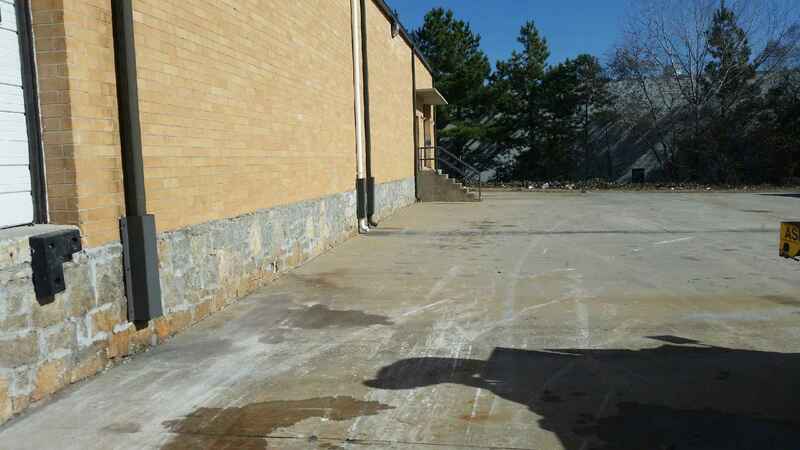 Whether you need us for scheduled routine maintenance, on-call work, or a special project such as having your asphalt area crack filled and sealcoated to maintain its integrity and prolong its longevity and help it stand out among the crowd of dilapidated and dirty lots around it, Watt Commercial and Atlanta Sealcoating has you covered 100% of the time for all of your need all year long! Call us today to get more information for exactly what we can do to help you stand out from your competitors and set up an appointment for an on site assessment with one of our highly trained pros today! In the days of years gone by, when someone would say that size matters in referring to the size of a city, township, or municipality and their need for a professional and routine street sweeping service, one would quickly think that regular professional street sweeping services were exclusively for large or major cities. One would easily think that only big cities would need professional street sweeping services on a regular basis, and that the bigger cities would be the only cities that would be able to afford the professional services of a street sweeping service provider, such as Watt Commercial Sweeping, Inc. However, in today’s professional sweeping market and with the way that all sizes of cities, towns, and municipalities face demanding and extremely restrictive tight environmental restrictions enforced by the Federal Government, the issue now is that no governance, no matter how big, nor how little, can truly afford to NOT have a regular profession sweeping action plan in place. Especially this time of year, a sweeping maintenance plan for all cities, towns and municipalities truly is essential. Leaves that fall during the Autumn months truly are a constant threat to any city or town’s storm drainage and run-off system and can easily clog sewer drains and rain and storm run-off drainage areas, which threaten local drinking water sources and therefore threaten the local environment and can easily cost the local government quite a lot of money in fines from the EPA and other Federal agencies. In a lot of ways, bigger cities may actually be able to afford these fines and penalties they may face by NOT having regularly scheduled sweeping maintenance because they work with larger budgets and larger emergency and discretionary budgets, whereas smaller townships and municipalities have much smaller and much more limited budgets. Watt Commercial Sweeping, Inc. has worked with cities and municipalities of all sizes for many years. We can easily help put into place a professional sweeping maintenance plan that is well-suited for your city or town that will help keep your area looking its best, and most importantly, keep your town operating its best. Having a clean and environmentally friendly town is the most important and responsible act that any city can do these days and Watt Commercial Sweeping, Inc. can help you be responsible, save on costly environmental fines, look your very best, and stay within your budget for the year. Call us today for more information on how we can help you with all of these things and more, or for an on-site assessment today! 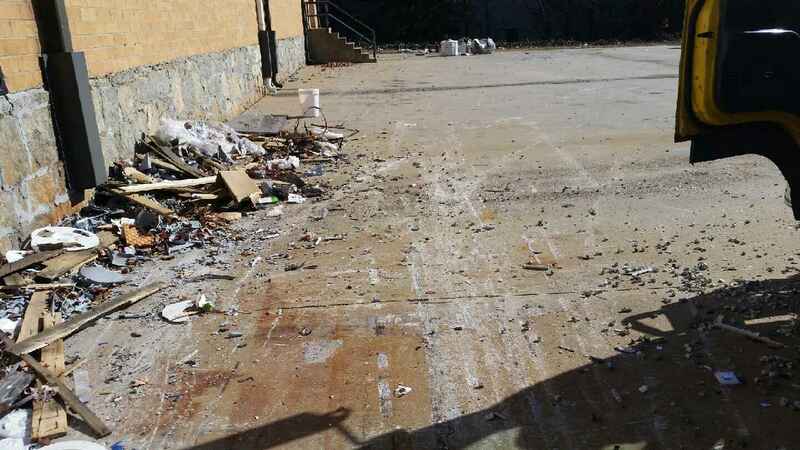 Watt Commercial Sweeping, Inc. is the premiere choice in the Atlanta area for all cities and municipalities for all of their professional sweeping needs–regularly scheduled maintenance, special events clean-up and even emergency or unscheduled on-call needs. No matter how big or small your city or town may be, Watt Commercial Sweeping, Inc. covers it all! While it may seem obvious that your parking areas require the attention of a professional sweeping team, and it may also seem obvious that an in-house team is an over the top expense for pretty much any business, it is imperative that you realize that all sweeping professionals are not the same and some sweeping companies aren’t quite “professional” when it comes to taking care of your sweeping needs. Watt, however is the company that sets itself apart from the pack. We are the premier choice for Atlanta when it comes to contracting an experienced and professional sweeping team for your business. Don’t be fooled by the other guys! Let us tell you why we are the best! With more than 20 years in the professional sweeping business, Watt knows what it takes to help your business in the best ways possible. We understand and respect the value of your parking areas and we know the key role their maintenance is to keeping your business thriving and we will only maintain your property to the highest standards possible. We are experienced and skilled operators of specialized, state of the art equipment that we use to maintain your parking areas. Each client has special needs and each property is different–Watt knows that and we special tailor our services to your needs and around your schedule–not the other way around, trying to make you fit our limitations and our hours. Our service is all about the client and their needs. From the very beginning Watt and our trained and knowledgable staff will be here to serve you and answer any questions you may have about the services you will receive before your initial sweep. Watt is a locally owned and operated business. We know the ins and outs of Georgia, its weather and the effects the environment has on different types of lots throughout the year. We will assess your particular establishment and make sure that as the seasons and your property’s service needs change that we keep you up to date on these changes and make the necessary adjustment to your service with you, the client. Watt knows that not all businesses will need the same cookie cutter sweeping services and we make sure that your particular business is maintained with the proper service and equipment for those needs. Watt will make sure that your expectations are consistently met. Each of our team members know step-by-step what is to be done and what is expected at each and every location on our routes. There will never be inconsistencies in service because each member of our team knows every property specifically, whether it is their regular assignment or not. We know that life happens and that at anytime we may need to have one of our trained sweepers fill in for another one of our team members and we make sure that each employee knows each property to ensure quality and consistency expectations are always met. With knowing that life can sometimes throw in an unexpected curve ball, Watt also always makes sure that every vehicle in our fleet receives daily maintenance to ensure not only to have all equipment ready and in its best shape, but also to have a backup in place, just in case. With our fleet always at the ready, Watt can also be ready for your unexpected needs. Day or night; routine and even emergency and on-call services. Watt can do it all and all when you need it! Watt’s fleet is all enhanced with GPS monitoring, assuring performance and efficiency at each and every location. 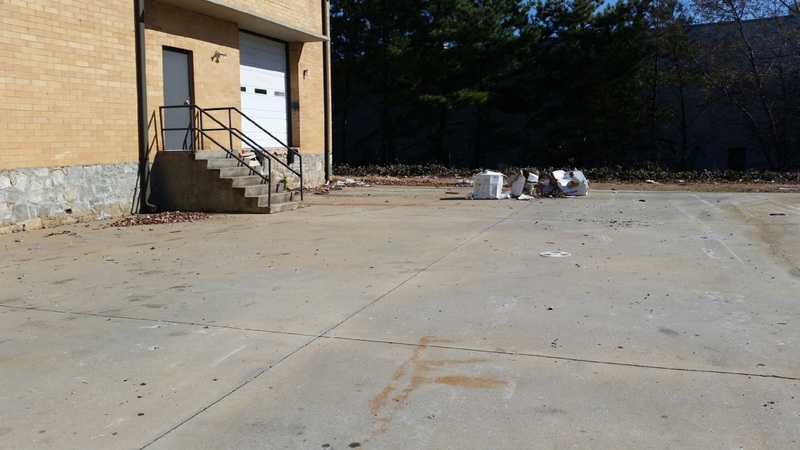 Watt is the only choice you should make when it comes to your parking areas sweeping needs because your business cannot afford to settle for less than the best and Watt Commercial Sweeping, Inc. is absolutely the best! Big mess, no time? No Problem! Have a property in desperate need of a cleaning? Suddenly have a prospective buyer or tenant but no time or means to clean up the place? No problem. Give us a call today for same day on call service! 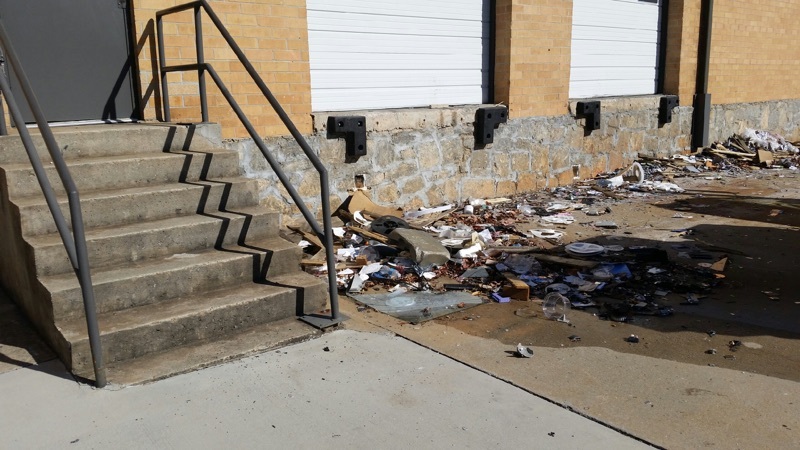 This existing customer was in a similar situation with a loading dock areas in need of cleaning under time constraints. The catch here was that there was a sizable mess and no where on site to dispose of it. Instead of taking it on themselves, they called us for immediate service. The job required a sweeping unit, a dump truck and the experience our guys possess to get it cleaned right. After a little elbow grease, the property is rid of the previous tenant’s mess. We have multiple payment options and service around the clock with no added charges. Your satisfaction is only a phone call away.